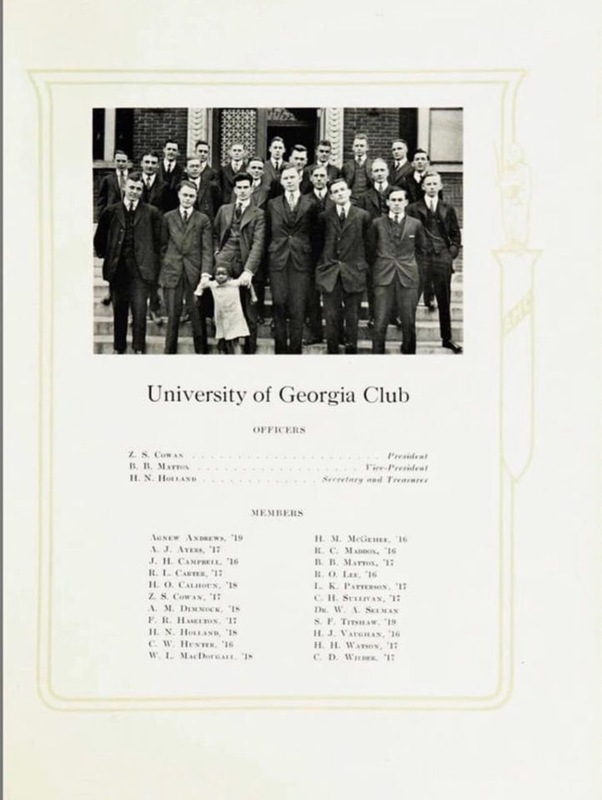 A controversial yearbook photo from 1916 has surfaced on social media, but its origins are not with the University of Georgia, according to a UGA spokesperson. The African-American child held in the front of the photo is the area of concern. “It’s quite moving simply because when you reflect upon the times that we are speaking of, just looking at the child, the child is not comfortable. It’s clearly defined in the posture and the way the child is being held,” said Alvin Sheats, president of Athens NCAAP. This photo is taken from the 1916 Atlanta Medical College yearbook. according to a UGA spokesperson. Grady Newsource reached out to the marketing and communications division at the University of Georgia for more information. “This disturbing image periodically surfaces on the internet. We do not have record of any such photo taken at UGA. It appears that the photo was taken at the Atlanta Medical College in the early 1900s,” according to Greg Trevor, UGA executive director of media communications. Regardless, a conversation has begun on social media, as the public has shared opinions of disgust and frustration. Many are unaware that the photo is from Atlanta Medical College because of the “University of Georgia Club” title. Sheats said UGA has an important responsibility in the matter. “The University of Georgia is the flagship of the state of Georgia, so being the flagship you lead the way. So you have the responsibility to lead the way, set the course, set the pace, you set the tone,” Sheats said.